ARLINGTON, Va. — The National Association of Chain Drug Stores said it’s ready to work with President-elect Donald Trump’s nominees to lead the U.S. Department of Health and Human Services (HHS) and the Centers for Medicare & Medicaid Services (CMS). Trump on Tuesday named U.S. Rep. Tom Price (R., Ga.) as HHS secretary and Seema Verma, president, chief executive officer and founder of national health policy consultancy SVC Inc., as CMS administrator. “NACDS welcomes the nominations of Congressman Tom Price to serve as secretary of Health and Human Services and Seema Verma to serve as administrator of CMS. We are enthusiastic to help leverage pharmacy to improve Americans’ health and well-being,” NACDS president and CEO Steve Anderson said in a statement. Alluding to the myriad changes in the health care system and new approaches to care triggered by the Affordable Care Act (ACA), Anderson stressed that all health care stakeholders must work together to ensure effective, efficient delivery of health services. “Chairman Price, a renowned physician, has earned a reputation for being a tireless problem solver and the go-to expert on health care policy, making him the ideal choice to serve in this capacity. He is exceptionally qualified to shepherd our commitment to repeal and replace Obamacare and bring affordable and accessible healthcare to every American,” Trump said in a statement. Price, an orthopedic surgeon, helped found one of the nation’s largest private orthopedic practices. He serves as chairman of the House Committee on the Budget and on the House Ways and Means Committee, including the Subcommittee on Health. A six-term congressman, Price has been an avowed critic of the ACA and has steadfastly sought to replace it. The New York Times noted that in every Congress since 2009, Price has introduced legislation offering a detailed replacement plan for the ACA. 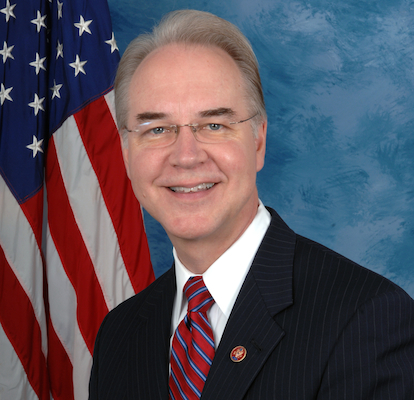 The Times described Price as a “radical” choice for HHS secretarynd in an editorial on Wednesday. “In picking Rep. Tom Price, President-elect Donald Trump has chosen as his secretary of Health and Human Services a man intent on systematically weakening, if not demolishing, the nation’s health care safety net,” the Times editorial said. In accepting the HHS nomination by Trump, Price said there’s a lot of work ahead to improve the U.S. health care system. “There is much work to be done to ensure we have a health care system that works for patients, families and doctors; that leads the world in the cure and prevention of illness; and that is based on sensible rules to protect the well-being of the country while embracing its innovative spirit,” he commented. 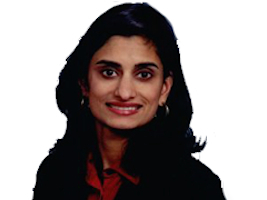 Verma would bring significant experience in the health care arena as CMS administrator. For more than 20 years, she has worked on a range of policy and strategic projects involving Medicaid, health insurance, public health, state Medicaid agencies, state health departments and state departments of insurance, as well as the federal government, private companies and foundations. Her background also includes redesigning Medicaid programs in several states. SVC’s website describes Verma as the architect the Healthy Indiana Plan (HIP), the nation’s first consumer-directed Medicaid program under Gov. Mitch Daniels (R.) of Indiana and Gov. Pence’s HIP 2.0 waiver proposal. Verma led Indiana’s health reform efforts after the ACA’s enactment in 2010 and worked with public health and state insurance agencies to implement the law, including understanding regulatory changes and the impact of the health exchanges on state insurance markets. She also provided testimony to the Congressional House Energy and Commerce Subcommittee on Health and presented to the House Energy and Commerce Committee Medicaid Task Force.